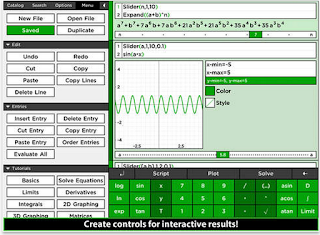 The popular graphing calculator MathStudio Express is free today and only for a limited period of time (its regular price is $4,99). This powerful calculator offers more than 200 functions from basic calculations to advanced calculus and is powered with a quick CAS (computer scientific calculator) that beautifully typesets your answers and helps you with solving limits, derivatives, integrals, differential equations and many more. 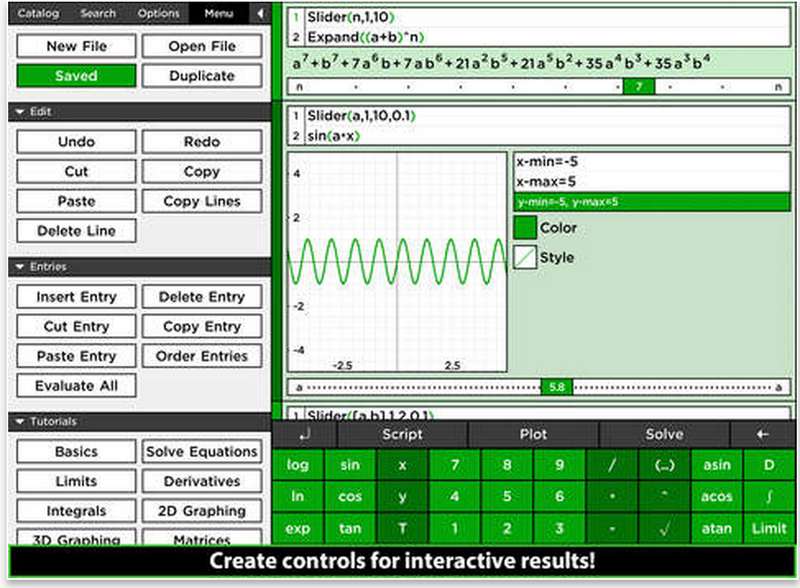 MathStudio accurately graphs 2D function, vector fields, fractals and images with a lightening speed. It can also graph 3D functions, parametric, spherical, cylindrical and vector fields. MathStudio is among the first apps to introduce time graphing allowing users to create animated plots that graph in space and time using the T variable. Other interesting features provided by Math studio include: Plot lists of numerical data in scatter, histograms, box and probability plots; create scripts in our powerful programming language that supports variables, loops and even recursion. MathStudio even includes an advanced regression analysis package, choose from several regression functions or create your own!